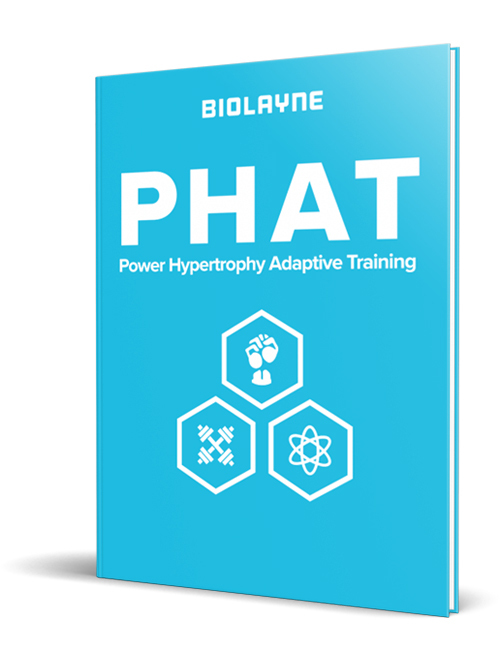 I’ve been fortunate to team up with BioLayne.com before in discussing cardio and how it should play into the overall equation for fat loss. We’ve made some great headway in dispelling the many myths surrounding aerobic exercise and the drawbacks to overlying on it for long-term physique development. As much as I like to encourage people to focus on nutritional adjustments for achieving fat loss, and strength training for retaining muscle tissue during that fat loss phase, there almost always comes a point where at least some cardio is required to achieve higher level conditioning. Of all the online clients I’ve helped prepare for the physique stage, be it bikini, men’s physique or bodybuilding, an extremely small number have reached true stage conditioning without at least some formal cardio in their plans. Many of which end up requiring a fair amount of formal cardio in addition to continued nutritional adjustments before being fully ready. As that need for additional cardio rises in athletes, so too does the importance in the type and methods we use in approaching that cardio to best maximize our often-limited time, and especially limited energy levels as we work deeper and deeper into a contest prep diet. Below are some realizations I’ve found both personally during my own preps, through continued review into the research literature, and my own coaching experience that can help you navigate your prep cardio as effectively as possible while you fine tune your physique for the stage. For the non-competitive person simply looking to maintain a healthy weight and body composition, the general guidelines for aerobic activity can be pretty manageable to achieve each week; even enjoyable. The American Council of Sports Medicine (ACSM) recommends just 60-150 min per week of aerobic activity and minimum of two strength training sessions per week to maintain general health. Guidelines most of you reading are clearly meeting or exceeding as we pursue higher levels of fitness and physique development than merely general health. Getting in aerobic activity during the week to maintain general heart health, or during casual dieting phases can be as simple as playing some pick up basketball games, going on hikes with friends or family, or other recreational activity that can be as entertaining as it is healthy. Contest prep cardio is however, a different story. As athletes that are focused on controlling variables and eking the most progress out of efforts, performing more formal modes of aerobic activity lend themselves to more predictable and adjustable results. Not to mention, we just simply end up requiring more total cardio each week than the non-competitive person just aiming for general health. That increased cardio requirement, and much more formal setting, can stretch our already packed schedules and make for quite the challenge as we balance prep with all our “real life” responsibilities. Almost always during prep, I favor programming and performing formal cardio on a few select cardio machines rather than in open environments like hiking. For one, this allows us a much more controlled set of variables we can then fine tune and adjust very specifically from week to week- allowing us to program just enough to facilitate continued fat loss without wasting any time or energy. Not only does the controlled resistance and speed of machine-based cardio help in terms of program efficiency, but also it can make an incredible difference in time management during prep. Unlike jogging, rowing, or sled pushes, both incline treadmill and stationary bikes create opportunities to take care of other pending tasks we have during the week, while still allowing productive, predictable and programmable cardio we can adjust throughout prep. This creates a two-fold advantage- we can save ourselves time in other parts of our day to better accommodate for the increased time required for cardio, and also helps take our minds off the often monotonous, mentally challenging task of trudging through cardio. With a tablet or smartphone, we can perform tasks like respond to emails and texts, schedule appointments, watch video lectures or review notes from our college courses, or listen to productive podcasts as we pursue our own personal development & interests. No, this doesn’t make us undedicated by wanting to multi-task during cardio. It makes us busy people that want to find ways to better incorporate our physique goals into our daily lives so it enhances our lives, rather than consumes it. Finding the form of cardio you prefer such as an upright stationary bike, spin bike, incline treadmill or stair stepper in which you can perform otherwise mundane tasks simultaneously can make a world of difference in being able to fit the many time requirements prep entails within your already busy schedule.